One of my favorite things about the holiday season is cozying up on the coach and watching a great Christmas movie. 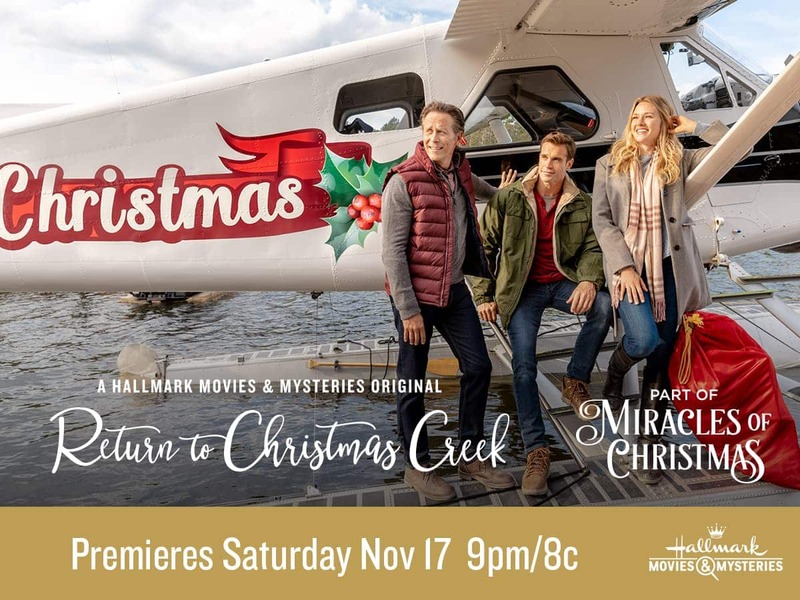 I’m pretty excited for this weekend because Hallmark Movies & Mysteries “Return to Christmas Creek” is premiering this Saturday, Nov 17th at 9pm/8c! Thank you to Hallmark Movies & Mysteries for sponsoring this post. We have many fun holiday family traditions every year. We always decorate the tree the day after Thanksgiving while drinking hot cocoa, we wear matching pajamas to bed on Christmas Eve, and we always watch holiday movies before we go to bed on Christmas. As Christmas approaches, Amelia Hughes, a career-focused Chicago app developer lacking in holiday spirit, returns to her small hometown of Christmas Creek to rediscover the meaning of Christmas. There, she reunites with her childhood best friend Mike and her estranged uncle Harry, whose mysterious rift with Amelia’s father divided her family during the holiday season when she was a child. As she engages in local holiday festivities — and begins falling for Mike — Amelia finds herself feeling the Christmas spirit. This movie stars Tori Anderson, Stephen Huszar, Steven Weber, and Kari Matchett and looks to be a feel-good Christmas story, one of my favorites! This holiday season there are 15 movie premieres being featured on Hallmark Movie & Mysteries. 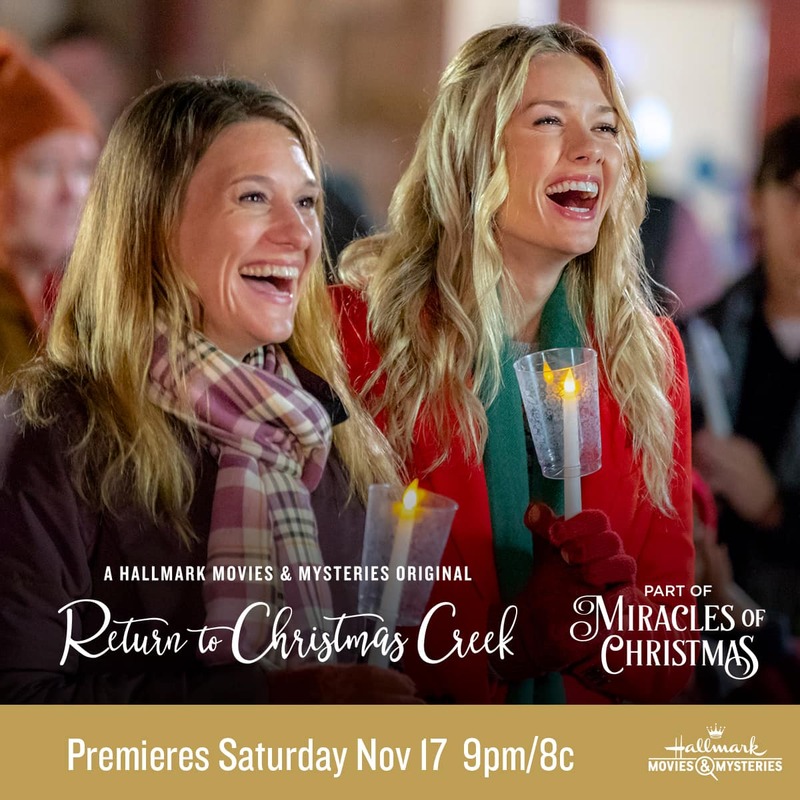 Be sure to visit the website to find more information about all the Hallmark Movies & Mysteries #MiraclesofChristmas original holiday movies. With 37 new original movies, you won’t want to miss even one! 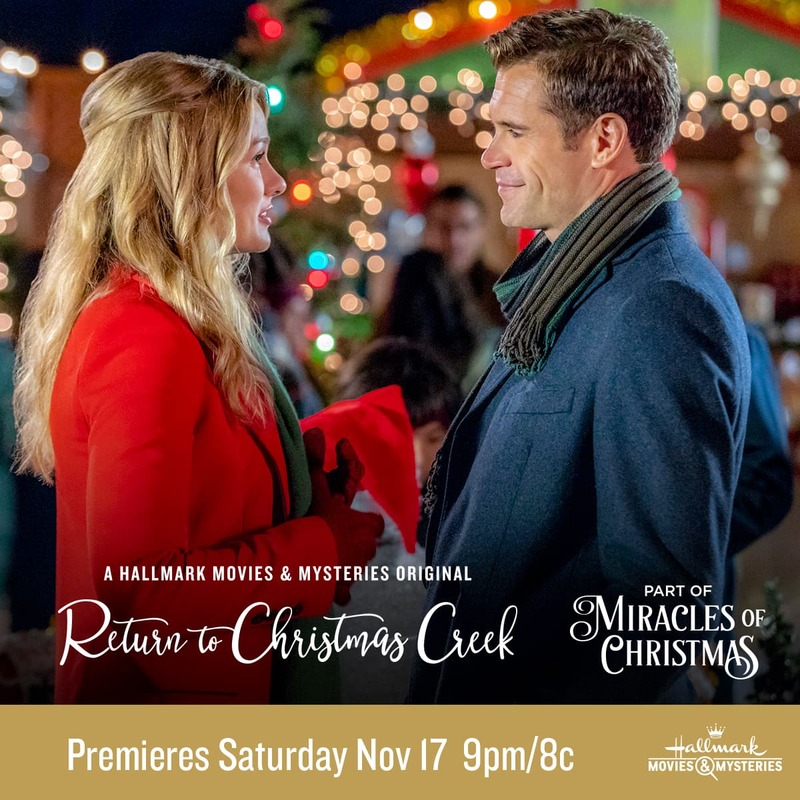 Now you can use our new Hallmark Movie Checklist app and you can create reminders, watch trailers and stay up to date on all the exciting new movies coming this Christmas on Hallmark Channel and Hallmark Movies & Mysteries! Do you love a fun holiday sweepstakes? The fun just keeps on coming this holiday season! Hallmark Channel is going away 35 sets of ornaments and Balsam Hill trees on their Sirius Channel #70! Click here to learn more! If you love holiday music like I do be sure to tune into Hallmark Channel Radio on Sirius XM- Channel #70 to listen to timeless Christmas music and carols. To keep the holiday spirit spreading, Hallmark Movies & Mysteries is giving one of our lucky readers a Holiday Cheer Prize Pack! To enter for your chance to win, leave a comment telling us what the holidays mean to you! For an extra entry, tweet the following tweet and leave a comment with the link to your tweet. Finally join me this Saturday, 11/17 at 9pm/8c for Christmas Joy on Hallmark Channel. Tweet during the movie using #ReturntoChristmasCreek and a winner will be chosen when the movie ends! It means spending more time with my family, and doing things together.